BREAKING NEWS SPECIAL: Do You Think Imposing Heavier Penalties Will Make Our Roads Safer? Do You Think Imposing Heavier Penalties Will Make Our Roads Safer? Road mishaps can be fatal or non-fatal. Even after various road safety awareness programmes and initiatives, the road accidents are not decreasing. 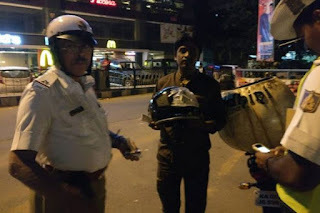 The Narendra Modi government also proposed heavier penalties for not adhering to traffic rules. But, only imposing heavier penalties won’t be enough. The focus needs to be on both, policy level changes and making citizens aware on the issues of traffic rules and safety aspects. 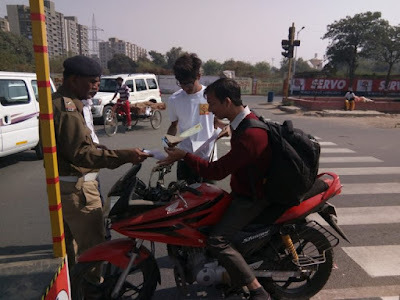 India Road Safety Mission (IRSM) an initiative by Maruti Suzuki, plans to bring policymakers city authorities, road safety experts and citizens on one common platform to raise awareness about the issue. For the first time, the campaign has introduced a comprehensive Road Safety Index through which the surveyed cities can identify the key areas of concerns. The 10 cities selected for the campaign were rated based on Pedestrian Rights, Road Lighting and Maintenance, Motor Laws and Traffic Control, Emergency Services, Road Cleanliness, Connectivity, Road Infrastructure, Road Safety, Differently abled friendly, Road Quality and Pollution Control. Over the years, Maruti Suzuki has been proactively campaigning for the cause of road safety in India. As most accidents are often because of careless driving, the company’s focus is on training youth belonging from underprivileged backgrounds with proper driving skills. Not only will proper training make roads safer, these youth will have employment opportunities. A study conducted by United Nations Economic and Social Commission for Asia and the Pacific (UNESCAP) says that the Indian economy takes a 3 percent hit every year due to road traffic accidents, which is over $58,000 million in terms of value. And it is not only about the financial damage, it makes families go through emotional turmoil too. Hence, it is necessary to sensitise people about road safety and the importance of adhering to traffic rules. The Logical Indian community thanks and appreciates Maruti Suzuki for making a consistent effort over the years towards making our roads and lives safer through its nation-wide awareness initiatives and training programmes. We urge our community members to be a part of these initiatives at their level and do their bit. Only when we come together, we can have safer roads and better lives!